500SP has been delegated to @mrnightmare89! Congratulations!!! 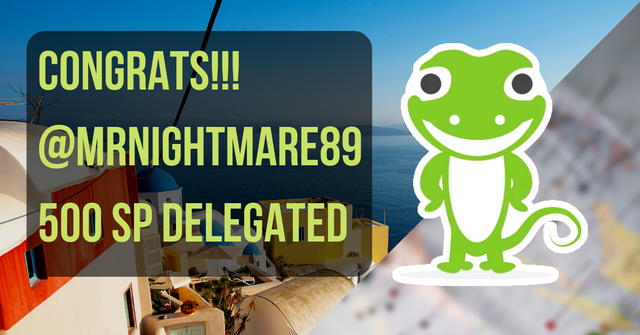 Congrats to the winner of 500 SP Delegated to @mrnightmare89 by @coingecko! First of all, thank you for everyone who participated in the contest, each and every submission intrigues us with your insights and thoughts of which place on earth is the most idyllic for each and everyone of you. As a Filipino, @mrnightmare89 choose to visit one of the many islands within his country's border even if the choice to go to other more lavish touristy places are open to him. After reading about Limasiwa Island, we are enchanted by its beauty and relative obscurity. Limasiwa really is a hidden gem that more should know about. We also want to commend on him for making a dedicated post to answer our question. Keep an eye out for more contests by @CoinGecko! If you like what we're doing and would like to support us, please consider voting us as a witness on Steem. CoinGecko.com provides a fundamental analysis of the crypto market. In addition to tracking price, volume and market capitalization, CoinGecko tracks community growth, open-source code development, major events and on-chain metrics. Congratulations 🎈🍾🎉🎊 to the winner of 500 SP Delegated to @mrnightmare89 by @coingecko! I was hoping to win, but I’ve not lose hope because I know that better things will still come out of @coingecko. Glad you have the positive mindset! yes yes yes! we're planning more contests along the way that surely everyone will gain from not giving up! I believe in @coingecko and will continue to believe. Thanks for remaining awesome and helpful to all crypto communities. Thank you sir, I'm so happy that I was the one selected. let's do our best here in steemit. Thank you @coingecko, it made me very happy.. Again thank you, I'll look forward in your another contest.